The ICT sector needs to be enabled to make the contribution it should be making to the economic growth, job creation and the deepening of democracy. For too long the sector has been stifled by policy that has resulted in poor access to the full range of services and information required for effective participation by all in the economy and polity and suboptimal use of them as a result of high prices and poor quality, where there is access to them. 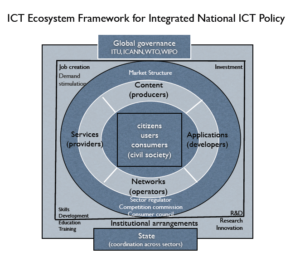 Op ed by Alison Gillwald, Executive Director of Research ICT Africa, on the Department of Communications’ colloquium on an integrated national ICT policy.